My Miniature Library is a breathtakingly beautiful book making kit with templates to make 30 tiny books. 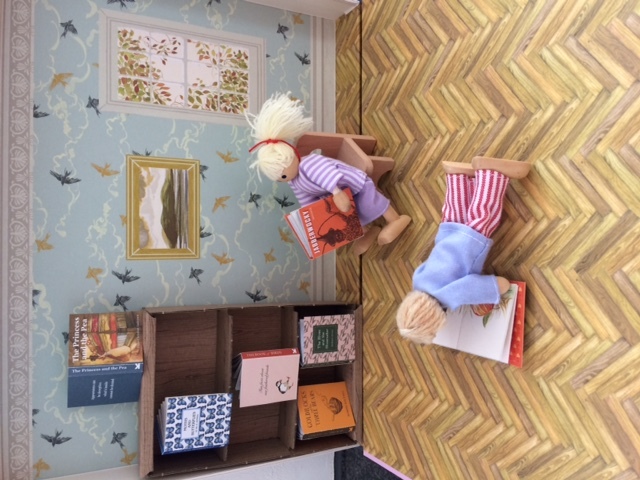 There’s even a tiny bookcase to store them in (although the dolls in our dolls house also have some on their bookcase now too!). We had a wonderful time making and then reading these little books which, along with the bookcase, come in a sturdy, beautifully illustrated box that can be opened out to make your own library! We were so excited when we opened the book box and couldn’t wait to start making our tiny books which measure 3.8 x 3cm. There’s a choice of 10 fairytales plus well known rhymes and non fiction titles. 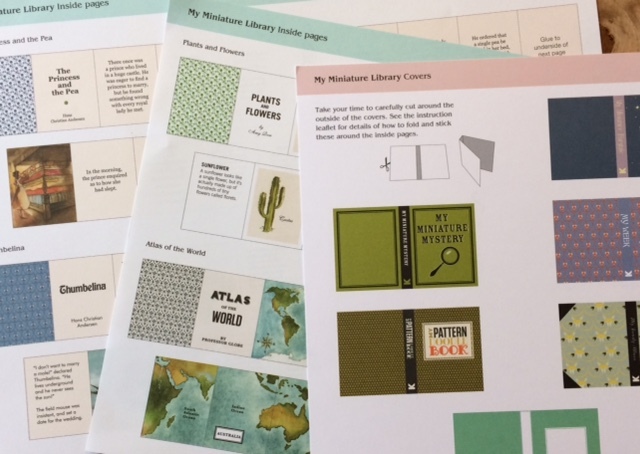 There are also 10 templates for creating your own books. The book making instructions are really easy to follow and the only extras you need are scissors and a glue stick. Simply cut out your pages, fold them, cut out the book covers, fold them and then glue the pages to the covers. Not only was making books a fun activity but it led us to reread favourite fairytales including Sleeping Beauty, The Frog Prince and Thumbelina. My daughter was introduced to Momotarō,a Japanese fairytale, Jabberwocky and Mythical Creatures. The non fiction selection includes Signs of the Zodiac, The Book of Birds and Plants and Flowers. The illustrations in the My Miniature Library books are exquisitely beautiful and both text and pictures are displayed on a predominantly cream background. We absolutely love the double page spread showing the witch’s cottage in Hansel and Gretel and the mini maps in The Atlas of The World are adorable! Each cover is made of sturdy card and the book’s blurb is on the back. Blank books include The Story of My Life, My Pattern Doodle Book, My Miniature Fairytale and there are two completely blank books for you to use for whatever you like! We read books every single day in our house and My Miniature Library stimulated a discussion about how books are actually created once they have been written and illustrated. 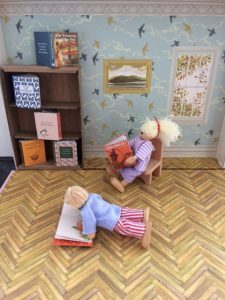 After we had made our books we opened the box to create the mini library, made the mini bookcase and invited the dolls to come and read! 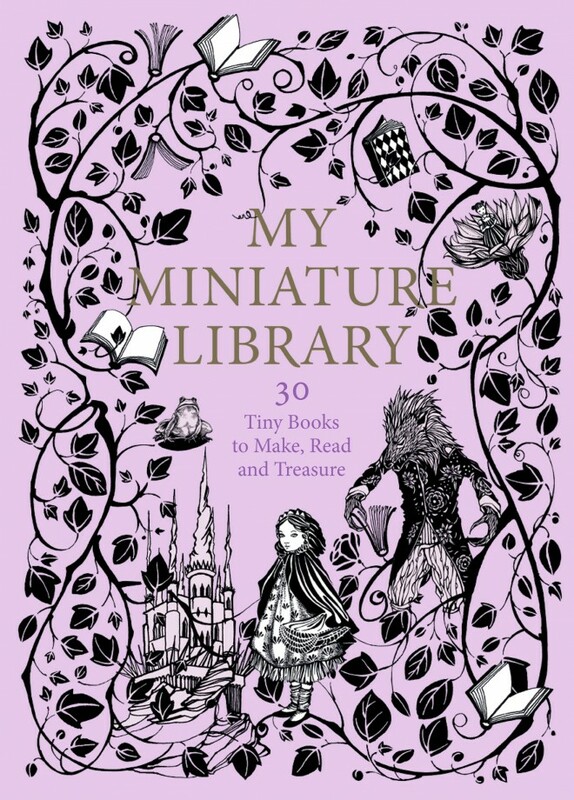 With Christmas just around the corner My Miniature Library would make a wonderful present for booklovers young and old! We could also imagine using it during a book themed birthday party, making mini books would be a wonderful activity for children / and or adults to do together. Fun fact! This is Story Snug’s 500th blogpost! I absolutely LOVE this. 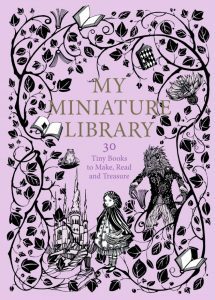 I love anything miniature and I love books so to combine the two makes me happy! I want this for myself, nevermind the kids! What a lovely idea – and good value too! I will look out for it when my niece is a bit older. It’s really good value and there are enough books to make that you could also give it to siblings as a present to share. Such a gorgeous idea, looks beautifully made, too. Fun idea. It’s a fabulous idea 🙂 How wonderful to have mini family heirloom books, I can’t imagine how they would look.